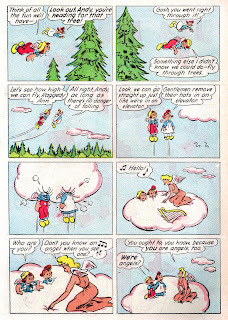 Thanks to Kim Scarborough for providing scans of the two Stanley-filled Raggedy Ann and Andy comics I needed. There's plenty to post in these two issues (35 and 36). 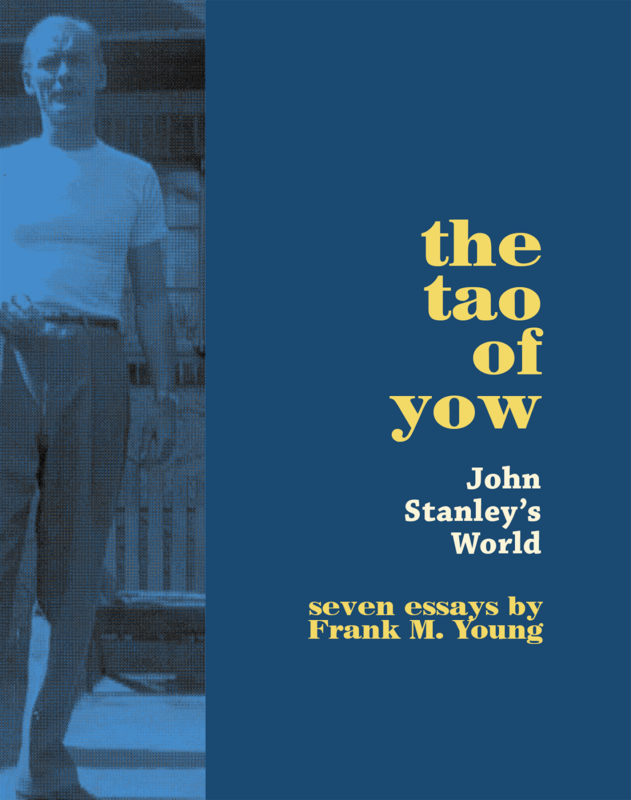 Today's story struck me as a prime example of the darker edges of John Stanley's worldview. 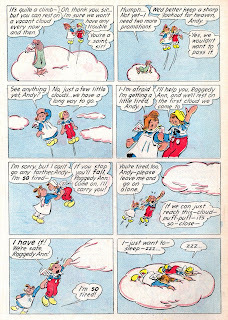 It appears that Stanley illustrated this story, and the other Raggedy Ann stories he did in 1949. The loopy looseness of the brush-drawn figures and background seem of a piece with his Peterkin Pottle stories. 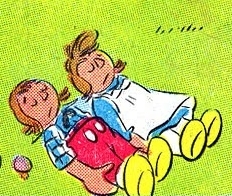 Stanley puts these mild-mannered dolls through hellish scenarios in these 1949 stories. 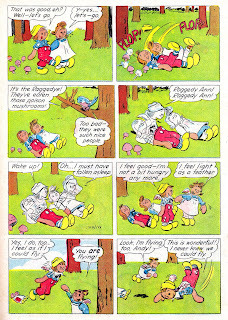 One might assume he disliked doing this series, and took it out on the cuddly-wuddly characters. 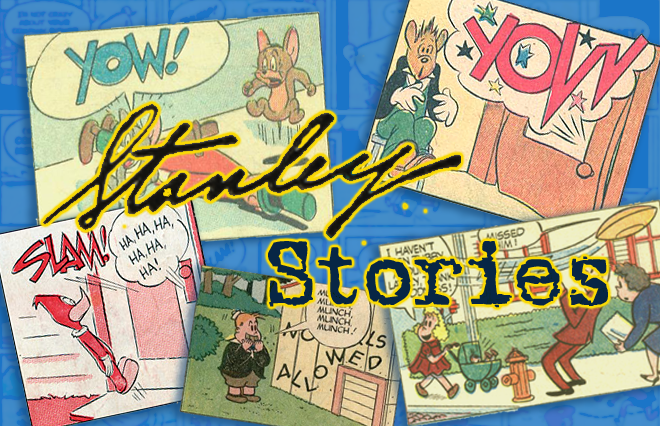 Whatever the case, Stanley's Raggedy stories are the creepiest, most compelling comic book versions of this ever-popular licensed property. 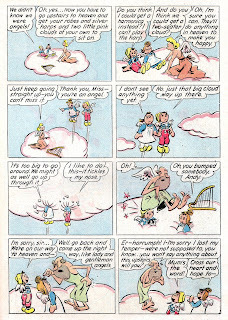 Heaven does not seem very accessible (or pleasant) a place in this story. Droll humor mingles with darkest themes of death and displacement. The Raggedys' innocence as they discover they're dead is both delightful and heart-breaking. 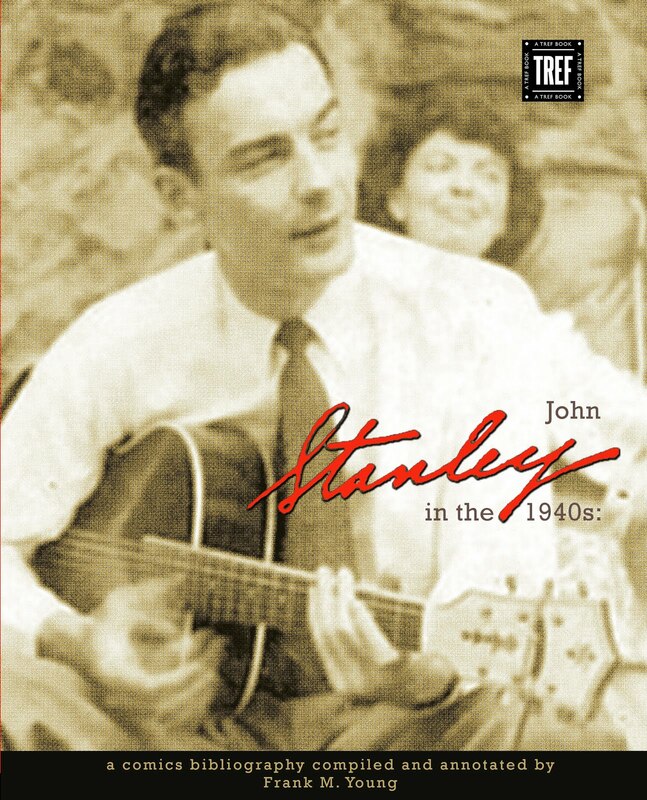 How did John Stanley get away with this story? It's so sophisticated, visually vibrant, and full of such intense themes and imagery that it's likely to have scared the bejeezus out of the average 1949 tot. 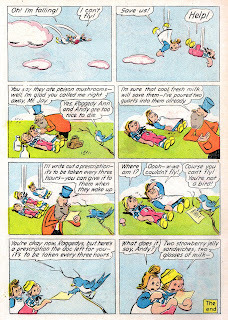 Scenes of peril and life-threats are common in Stanley's q.v. The outright death and resurrection of star characters is another thing entirely. I just had the pleasure of reading the first volume of Drawn + Quarterly's superb Thirteen Going on Eighteen reprints (a review of which is forthcoming here). 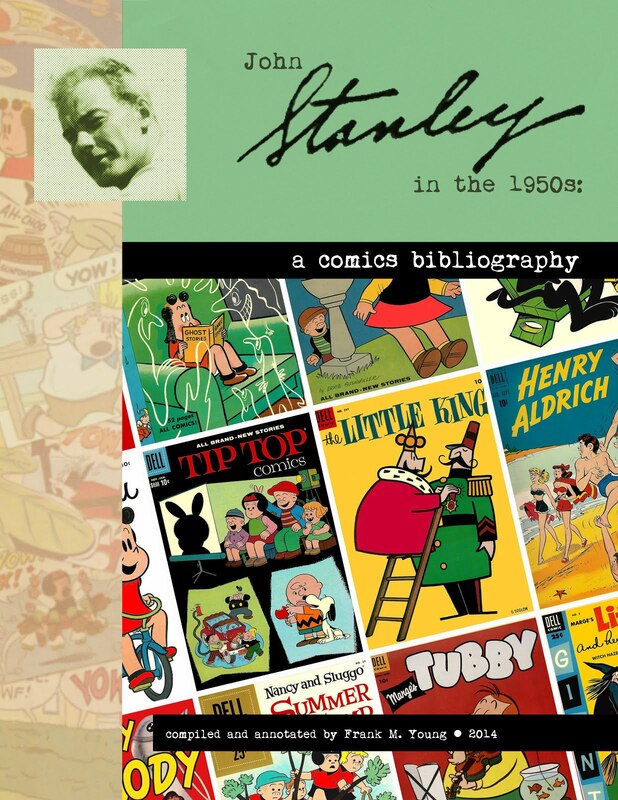 Having read this story while studying that seminal 1960s material, I see many correlations with Stanley's 1940s and '50s work. 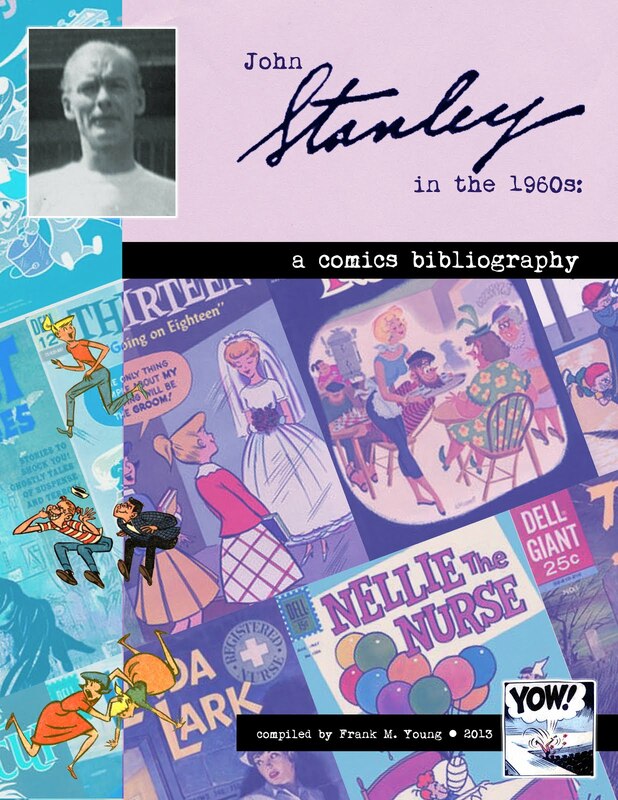 This story, as with all of Stanley's "Raggedy" stories, is enough to refute the theory that his 1940s work is entirely tentative and larval. This is as strong, and lasting, a story as any of Stanley's 1960s auteur work. Stanley had yet to develop his "loving contempt" approach towards his characters (I'll expound more on this concept in the Thirteen book review). Here, he has plenty of room to make light of the dolls' empty-headed innocence, and of their lack of understanding, like a little child, of cause and effect or consequences. Yet there is nothing namby-pamby or half-formed about this story. It is as sharp and surprising as the '60s material. While cruelty galore is heaped upon the dolls, it's not as harsh as the cruelties of "Peterkin Pottle" (whose main figure never comes within shouting distance of fatality, even in his wildest fantasias--in which he commonly slaughters scores of others). As with the Tubby masterpiece, "The Guest In The Ghost Hotel" (also drawn by Stanley), the lines between fantasy and reality (even in a universe where walking, talking dolls are a given) are beautifully blurred. 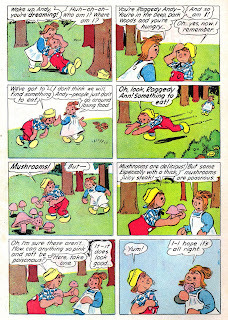 At story's end, it's revealed that the dolls came perilously close to death--and that their misadventures would appear to be a hallucination induced by the mushrooms. Yet, as with "Ghost Hotel," the dream-events are depicted in such a vivid, present-tense manner that story's end leaves the reader uncertain. Did or didn't it happen? No questions like these can truly be answered. The mystery of these stories gives them a great strength, and leaves them lingering in the reader's thoughts. I have a pile of work this week--some for my various book projects, some which will eventually result in some hands-on income--so I may not be able to post for the next few days. I have much to share with you, and I'm eager about upcoming posts. Stay tuned! In most American Pop Art forms (those that came to fruition in the 20th century) I ALWAYS find the earlier work to be less namby-pamby than the later. America started it's road to homogonization in the 1950's and continued through the 60's, 70's and the dawn of political correctness in the 80's and more to blossom to today's heaven-forbid-I-offend-anyone's-sensibilities 2000's. 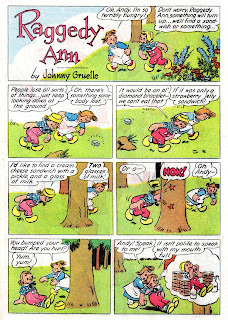 It surprises me not that Stanley could have an edge in his 1940's work, much more surprising that he retained it into the bland 50's and boring 60's. LOVE this stuff! Keep 'em coming!